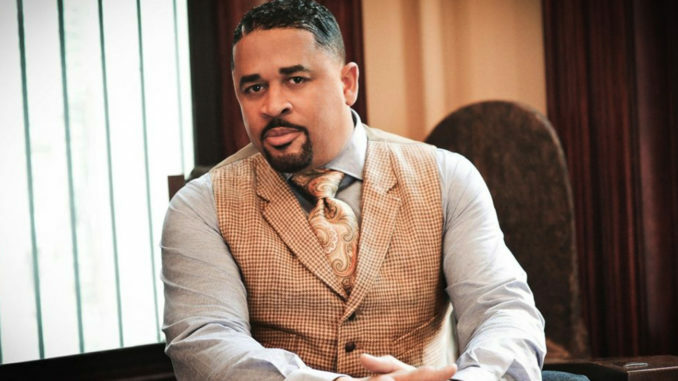 Celebrating 30 years of music ministry, Grammy-nominated, Stellar Award-winning gospel music artist Bryon Cage is performing a holiday extravaganza Friday, Dec. 21, 2018. The celebration concert will commence at Ray of Hope Christian Church in Decatur, GA, with appearances from some of gospel music’s most notarized singers. “I just still have a great love for the African-American church and church music,” said Cage. Cage recorded “The Presence of the Lord is Here” in 2002 and is still singing the hit song. He expressed that he’s looking forward to his 30 year anniversary almost retirement from the ministry of music. While celebrating 30 years in the business, Cage is also planning to release his book “I Do: The Commitment Between The Word and Music,” which chronicle his career. Through the book, Cage shares the lessons he has learned during his time serving four ministries. His book also gives insight and wisdom into how to move forward and have a harmonious relationship between the word and the music. With the extra time that he’ll have after leaving ministry, Cage has plans for taking on outer projects outside of music. “I am going to be doing some more writing things as well some TV opportunity things,” said Cage. Ironically, Cage’s first major gig in entertainment came from an appearance on “The Cosby Show” back in 1986. Over a decade later, he performed with Michael Jackson in 1998 and appeared in the opening shots of “Heal The World” music video. Over the course of his career, the gospel icon has topped gospel Billboard charts, won seven Stellar Awards, was nominated for a Grammy. He plans to release a new album in 2019 through Malaco Record Label. “People haven’t heard from me in a full album for eight years, so I think people just want my perspective again. They miss it,” said Cage. He wants to give the church music they can sing Sunday morning in church. Come out and experience the “Presence of the Lord,” Friday, Dec. 21 at 7 pm EST. Tickets can be purchased through byroncage30years.eventbrite.com.